Whoever will be the villain in Christopher Nolan's last Batman film, seems to be a hot topic in movie magazines across the globe. Nolan is of course celebrated as the director who brought the Batman franchise back to life, with his attempts at making the legend a believable character. Granted, the last big budget films to feature the dark knight before Nolan came along were pretty horrific, but there is another Batman film which also did a pretty decent attempt, yet is constantly overlooked. 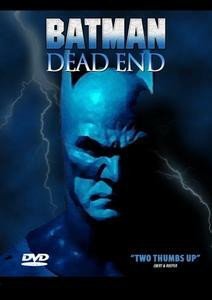 And while speculations run wild about whoever will be the villain in the last Nolan film, the villains of Batman: Dead End are by far more surprising than any suggestion in magazines. Don't read any more about this film, and do not watch any trailers. There are spoilers EVERYWHERE!